Hundreds of entries representing 9 countries and 37 states were entered in the sixth annual online equine photography contest sponsored by the Equine Photographers Network. Professional and Amateur division winners were awarded first through sixth place as well as four honorable mentions in seven categories: Performance, Horses and Humans, Head Study, Horse at Liberty, Extreme Action, Art and Black and White. 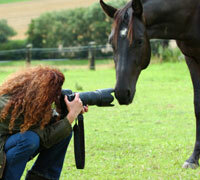 Professional equine photographers, Susan Sexton and Carien Schippers presided as judges. Over 2600 votes were cast with the People’s Choice Professional going to “Cowboy Affection” by Jill Fleming of Iowa and Amateur to “Shake it Off” by Holly Glasscock of South Carolina. Congratulations! “Judging the Professional Division was overwhelming: there were too many excellent images. Those of you who did well there please know that I was humbled being in the presence of such greatness, greatness in the works and in the people who made them. It was an honor. 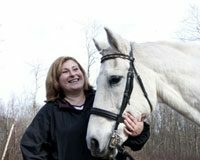 “This contest was a pleasure to judge with many excellent entries showing a wide range of horses, equestrian disciplines and camera skills. Many of the top placing photos were an inspiration to me and will give the pro photographers a run for their money! 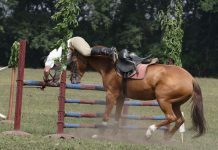 Enter your best horse photos in Horse Illustrated’s 2009 photo contest: The Spirit of the Horse. Sounds like fun! I aill have to enter it. Those photos were simply amazing. I wish we didn’t have to pay to enter. WOW! What amazing photos! I absolutely loved the head shots! a horse photo contest sounds interesting. Amazing photos. Those that won and placed truly deserved it.